Book Summary: He’s back! The original Sentinel of Liberty returns, with a new shield, a new team, and a new mission! And he’s not the only one who’s back! Like the saying goes-- cut off one LIMB, two more will take its place! HAIL HYDRA! 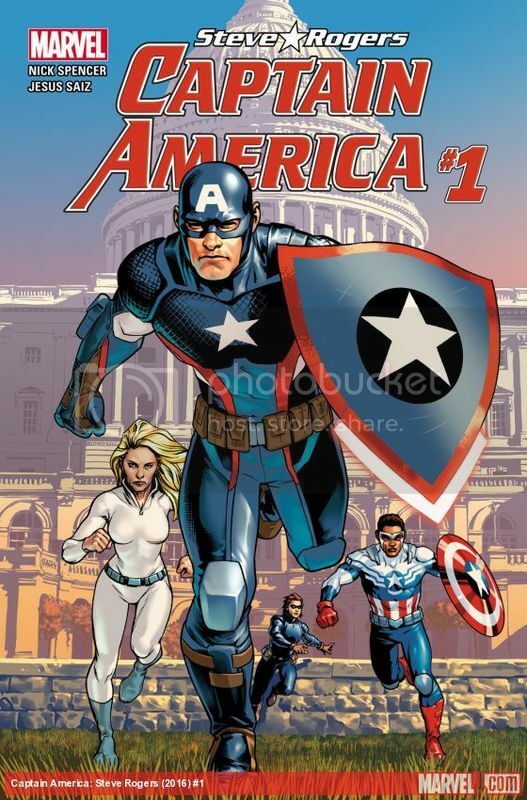 Book Review: Normally I don't pick up Captain America comics (not a big fan of his but my nephew is) but I had heard of some controversy with this one and it really piqued my interest. I became even more curious when I saw boatloads of tears from fanboys falling and I had to find out why. It was revealed in this new reboot(?) 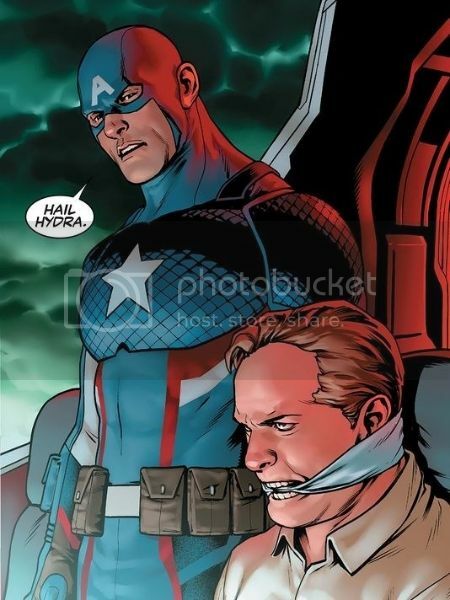 that Captain America is not the hero you really know but an agent of Hydra. You see a Hydra agent saved his Mother from being beaten by Steve's father one day and since then, well the rest becomes history. None of his team members seem to be aware of it and the one who might have known, Jack Flag, was tossed out of the plane during a rescue by the Captain himself. Is the hero dead? Perhaps. Maybe we will know in the next issue. Although this storyline is interesting, I have wondered if the idea itself had been drawn from a "What If" idea that just got expanded further and made into a comic. Still I am looking forward to see exactly what the Captain does or doesn't do. And what will his teammates think when they uncover the truth? I am going to stay tuned and see how the entire thing plays out. Maybe I will enjoy it. Maybe I won't. Only time will really tell.